We often say – “Age is just a number”. But is it really JUST a number? No matter how hard we deny it, aging brings a lot of uncertainties and fears. The physical changes can be overwhelming – reduced mobility, hearing impairment, visual deterioration, and diminished mental performance to name a few. These alterations don’t even include the emotional, financial and social adjustments that old age bring. These difficulties explain why even after centuries, the quest for the fountain of youth still goes on. We have yet to discover the secret to freezing the hands of time. Thankfully, while growing old is inevitable, feeling and looking timeworn is now becoming a matter of choice. 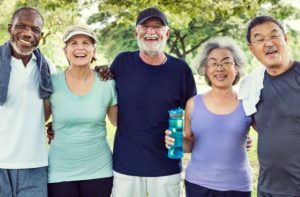 Conscious lifestyle modifications like eating healthy, engaging in regular physical activities, socialization and having enough rest are some of the ways that we can take care of ourselves to prevent premature aging. But on top of that, there are numerous scientific breakthroughs over the years that claim to have dramatic impact in extending human life and vigour. Among them, one stands out because it lies within each of us all along – the anti-aging benefits of GLUTATHIONE. 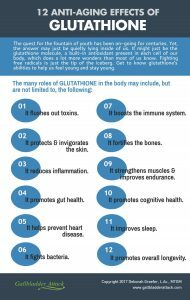 Glutathione, also known as GSH, is a naturally occurring molecule found in every cell of our body. It is made up three amino acids – cysteine, glycine, and glutamate. It participates in many cellular functions such as stress defence, detoxification, and cell signalling. Glutathione also impacts the regulation of DNA and protein synthesis, amino acid transport, gene expression, as well as cell proliferation and cell death. Maintaining optimum levels of glutathione is therefore crucial in protecting our body’s balance homeostasis. Disturbances in GHS balance have been implicated in the progression of a number of diseases like cancer, cystic fibrosis, and neurodegenerative, cardiovascular, inflammatory, immune, and metabolic diseases. Basically, where ever you find a chronic disease, glutathione levels will be low. How Does Glutathione Fight Aging? 1. It flushes out toxins. Glutathione is not called the “Master Antioxidant” for nothing. It is present in every cell but is most concentrated in the liver, the body’s main biochemical synthesizer and detoxification organ. It also regenerates other antioxidants such as Vitamins C and E. Glutathione scavenges each cell for toxins and free radicals and flushes them out from our system. It also decreases the amount of reactive oxygen species (ROS) and reduces oxidative stress which can otherwise cause molecular and DNA damage. 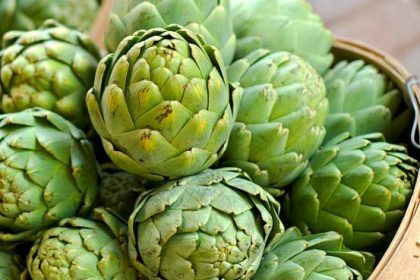 The presence of ROS may trigger mutations in the tumor suppressor genes important for cancer prevention. Aside from protecting us from oxidative stress, glutathione assists in the detoxification of drugs. The long-term use of nonsteroidal anti-inflammatory drugs (NSAIDs) and proton pump inhibitors (PPIs) have numerous documented negative repercussions including increased toxicity and elevated ROS levels which may be reduced with GHS. GHS is also used in some drug rehabilitation programs as part of the drug cleansing process for patients. Glutathione is also an effective chelator – transporting and excreting toxic heavy metals present in the body. We absorb these through food ingestion and exposure to certain body products and chemicals. These toxic metals contribute to some neurological and cognitive disorders as well as cell damage. 2. Glutathione takes care of our skin. Glutathione is becoming more popular and accessible because of its skin care abilities. Although there is still a debate as to which type of application is most beneficial for the skin, GHS can now be found in skin care sections as lotion, cream, sublingual spray or capsule. Some even have it administered intravenously for that youthful glow. The efficacy of glutathione as a skin whitener is still disputed but many experts still swear by it. Aside from detoxifying and reducing free radicals, one of the anti-aging benefits of glutathione come from its ability to protect skin cells from near-visible, UVA and UVB radiations. In fact, in the critical UVB region, the extent of defense provided by glutathione is almost as good as that of nucleotide excision repair, an automated DNA repair mechanism for damaged cells. Researchers therefore suggest that a major role of GSH in human skin cells is to protect them from the cytotoxic action of sunlight. Lastly, speaking of repair and protection, glutathione plays a crucial role in repairing wound tissue. In a 2007 experiment published in Biofizika, results showed that dinitrosyl-iron complexes with glutathione accelerated wound healing in animals. Glutathione is also proven to reduce wrinkles and dry spots which make us look older than we really are. Few of us know that inflammation plays a crucial role in the process of aging. 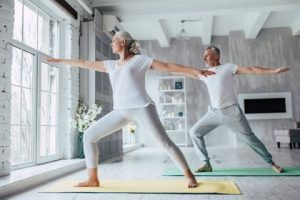 Though inflammation is necessary and even helpful to ward off antigens that invade our body, it is also associated with a number of chronic diseases, most of which are common to the elderly. As we grow old, our bodies no longer efficiently make the cytokines that are necessary for the regulation of immunity, inflammation and the creation of new blood cells. There is also a significant decrease in T-lymphocytes in the elderly population, affecting inflammatory profiles. The increased production of free radicals and the natural depletion of glutathione don’t help either. The good news is that when we have optimum glutathione levels achieved through supplementation, we have a better chance of reducing or eliminating inflammation. A few studies focused on lung inflammation have proven the protective and therapeutic role of glutathione in oxidant-induced lung injury and inflammation. Results show that glutathione’s effect on oxidative stress significantly reduced cell inflammation in test subjects. Glutathione modulates NF-kB activity, responsible for the expression of proinflammatory genes. 4. Glutathione helps in promoting gut health. A side-effect of glutathione’s anti-inflammatory abilities is its contribution to gut health. 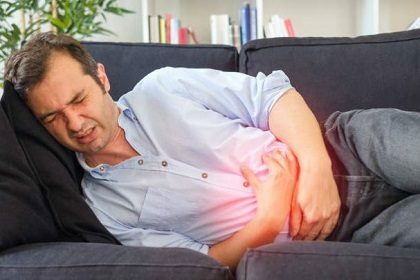 A study on the effect of glutathione peroxidase in gastrointestinal inflammation showed that insufficient GSH activity in the intestine can trigger acute and chronic inflammation. This phenomenon is a common occurrence in leaky gut syndromes. In fact, a separate study recommended that glutathione levels be monitored in children with severe malnutrition and gastrointestinal disease. Glutathione helps in managing various digestive diseases including IBS, gastroenteritis, ulcerative cholitis, Chron’s disease and malabsorption syndromes to name a few. It also protects the various organs of the digestive tract from inflammation, infection and cell damage. 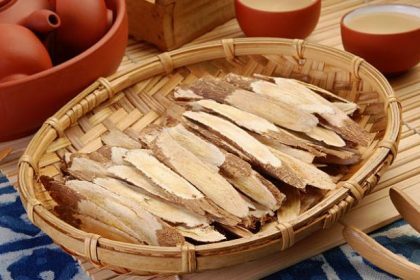 It can serve as prophylaxis for gastritis, ulcer and gastrointestinal cancer as it defends the stomach lining from oxidative stress, antigens and the development of cancer cells. 5. Glutathione helps prevent heart disease. Preventing heart disease won’t make you look younger or age slower. However, it will definitely help you keep a good quality of life while reducing the risk of stroke and heart attacks. Cardiovascular disease is still the leading cause of death worldwide and especially among persons 65 years and older. This is because aging radically changes the heart and arterial system, leading to an increase in diseases like atherosclerosis, hypertension, and myocardial infarction. Glutathione can help protect your heart by reducing oxidative stress and facilitating normal cardiovascular function. In an experiment conducted with animal subjects, glutathione deficiency resulted in abnormal vascular and cardiac function and structure. Another study also showed a decreased level or the absence of glutathione in carotid atherosclerotic plaques. It was also found out that the lack of GSH activity is common among patients with coronary artery disease. The similar results of various studies prove that glutathione can be used as preventive antioxidative treatment and a marker for patients at risk for cardiovascular events. In a 2013 study published in the Journal of Drugs in Dermatology, the value of glutathione as an antibiotic was tested by growing methicillin resistant bacteria namely S. aureus, E. coli, K. pneumoniae and P. aeruginosa strains isolated from human skin and soft tissue. The experiment showed that when glutathione levels were boosted to just five times the levels normally present in the body, it created an acidic condition, completely prohibiting bacterial growth. The same study also tested whether glutathione would be toxic to animal cells, especially at elevated levels. Results showed that even at the highest concentration tested (16 times the physiologic level), it was still relatively non-toxic. 7. Glutathione boosts the immune system. Your body’s lymphocytes, needed for the maintenance of our immune system, perform best when glutathione levels are at an optimum. GSH is also necessary for lymphocyte replication. This is proven by the preserved leukocyte function and good glutathione levels in healthy centenarians (those aged 100 and beyond), which may explain the ability of these individuals to reach a very advanced age. On the contrary, massive loss of cysteine and glutathione characterizes patients with human immunodeficiency virus (HIV) infection. Antioxidant deficit has been associated to frequent and severe infections that result in increased mortality. As we grow old, our cells begin to lose the ability to repair and protect themselves. That is why keeping your glutathione levels high can have a significant positive effect on your ability to ward off diseases. Another one of the many reasons behind the anti-aging benefit of glutathione is its capability to fight age-related oxidative stress and inflammation that contribute to our susceptibility and vulnerability to infections. And did you know that glutathione is also found in breast milk? 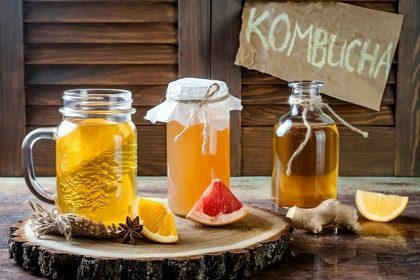 This makes the “liquid gold” even more potent in boosting immune system function. One of the many physical changes that come with aging is the loss of bone density. For many, it can lead to osteoporosis and may increase the risk of fracture. There are many factors that lead to the premature weakening of bones. One of which is oxidative stress. This is where glutathione plays a crucial role. In a 2009 study published in the journal Joint Bone Spine, antioxidant levels in postmenopausal women with osteoporosis were compared to healthy subjects. It showed that there are significant differences between the two groups in terms of their antioxidant enzyme conditions. According to the researchers, oxidative stress markedly increased bone demineralization and increased free radical levels. Being the master antioxidant, glutathione could have been able to stop or delay bone loss. Studies have also shown that our bone condition is directly affected by the immune system. There are cytokines and immune factors that regulate bone cells and there is a direct link between T cells and bone health. The stronger our immune response, the stronger our bones are. In this regard, glutathione indirectly contributes to maintaining optimum bone density whether we are young or old. In a Japanese study published in the Journal of the International Society of Sports Nutrition, glutathione supplementation is said to enhance the ability of muscles to use oxygen while reducing fatigue when engaged in strenuous physical activity or exercise. In an experiment, healthy subjects were divided into groups. One was asked to take GSH supplements daily while the other took placebos. Both groups were asked to exercise for an hour each day. Results showed that the performance was better in those taking glutathione. This is because they had lesser build-up of lactate in muscles and they experienced lesser muscle fatigue. Since glutathione also supports cardiovascular and pulmonary performance, optimum GSH levels allow us to perform more physical tasks without getting exhausted too quickly. 10. Glutathione promotes cognitive health. With optimum glutathione levels, growing old may not necessarily mean cognitive decline. 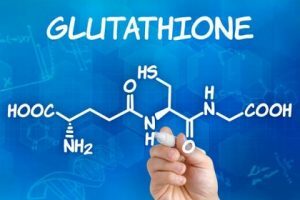 Glutathione depletion has a lot to do with the development of neurodegenerative disorders such as Alzheimer’s, Huntington’s, and Parkinson’s Disease. As the brain continuously consumes 20% of the oxygen ingested and absorbed by the body, ROS is also simultaneously generated. It is therefore critical that detoxification happens within the brain cells. It is in this area that glutathione plays a crucial role. One of the characteristics of Alzheimer’s Disease is the build-up of TDP-43 protein within the nervous system. This can further lower GSH levels. Thankfully, glutathione supplementation holds promise in slowing down the progression of Alzheimer’s. In fact, clinical studies show that increased glutathione levels was found to improve memory in animal subjects with the disease. Just like Alzheimer’s, Huntington’s Disease is caused by oxidative stress. That is why glutathione has a similar effect to patients with the condition. On top of that, GSH improves mitochondrial health which is a hallmark characteristic of the degenerative condition. Lastly, a study on Parkinson’s disease revealed that the condition involves the loss of dopamine-involving neurons in the substantia nigra part of the brain. In preclinical stages of Parkinson’s, that same brain region shows low glutathione levels. 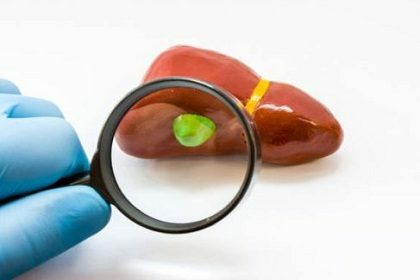 Therefore, scientists have come up with a drug named 3,4-dihydroxybenzalacetone which helped in the prevention of the disease by increasing levels of glutathione. Sleep plays a very important role in keeping homeostasis in our body. This is why prolonged sleep deprivation and fragmentation brings serious consequences that impair brain function, ages the skin, weakens the immune system and confuses metabolism. According to the American Academy of Sleep Medicine, lack of sleep speeds up biological aging since it boosts the molecular process involved in growing older. It doesn’t help that our circadian rhythm also radically changes with age. Older people sleep shorter hours and spend more time in the lighter stages of sleep than in deep sleep which better rejuvenates the body. This is why sleep disorders like sleep apnea, fragmentation and insomnia are more prevalent in older adults. Thankfully, studies show that glutathione can help you achieve a full and revitalizing sleep. In a study published in the Indian Journal of Chest Diseases and Allied Sciences, glutathione antioxidant treatment administered together with continuous positive airway pressure (CPAP) therapy significantly improved the condition of subjects with sleep apnea. Just two days after the treatment, patients were able to sleep longer with better quality. Sleep studies also revealed that oxidative stress affect the length and depth of our sleep. Through glutathione’s ROS-scavenging abilities, the body is able to reap the full benefits of evening slumber. Overall, glutathione indeed is a “miracle molecule”, It may not be able to keep us young forever but it definitely makes us achieve more years. More importantly, it helps us enjoy every bit of it. An experiment conducted in the University of Louiseville tried to demonstrate the life-prolonging effects of glutathione in mosquitoes. When they increased the glutathione levels of the insect by 50-100%, the lifespan of the subject increased by 30-38%. 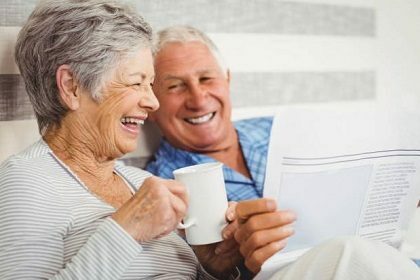 A similar study on enzyme activity conducted in Denmark showed that the glutathione levels of centenarians aged between 100 to 105 years old had higher concentrations than those of individuals aged 60-79. Higher Glutathione levels were associated with lower cholesterol, lower body mass index, fewer illnesses, higher levels of self-rated health, and lower blood pressure. 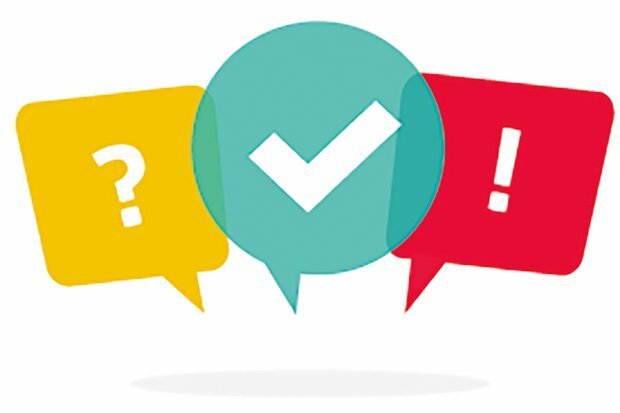 How Do We Maintain Optimum Glutathione Levels? A lot of factors can deplete our natural glutathione. 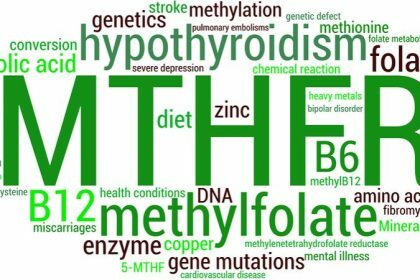 Poor diet, stress, pollution, radiation, alcohol, smoking, pharmaceuticals, various chemicals, and heavy metals all contribute to glutathione reduction. And did you know that poor biliary function can affect your glutathione levels too? You read that right! The bile stimulates glutathione release. So to maintain optimum levels, better be sure your gallbladder and liver are in tip-top shape. Aside from that, studies also show that when we reach the age of 25, our GSH levels begin to decline at the rate of 15% every year. Our ability to synthesize glutathione can no longer meet the aging body’s need for it. Thankfully, even though our bodies may no longer be able to meet our glutathione demands, there are available glutathione supplements. Glutathione does not easily get through the stomach intact which means that the best ingested form is one that is fat-soluble. Liposomal glutathione is coated in phospholipids or fats to ensure that they arrive in the small intestine intact. There, the bile works to break down the fat and absorb the glutathione. Having experimented with some brands, I have found Liposomal Glutathione to be easy on digestion, even though it is wrapped in phospholipids. Lypo-Spheric Glutathione from LivOn Labs is also one which is a bit on the thick side. In other words, it’s a bit harder to digest. However, I have found it to be very effective if the digestion is not a problem. If you want a transdermal delivery, Glutathione Plus is a cream and bypasses digestion entirely. It is very useful for flare-ups of thyroiditis and can reduce inflammation very quickly when rubbed into the neck. Therefore, it may also be helpful externally for relieving discomfort coming from inflammation of the gallbladder. Alexander, G. E. (2004). Biology of Parkinson’s disease: pathogenesis and pathophysiology of a multisystem neurodegenerative disorder. Dialogues in clinical neuroscience, 6, 259-280. Blankenberg, S., Rupprecht, H. J., Bickel, C., Torzewski, M., Hafner, G., Tiret, L., … & Lackner, K. J. (2003). Glutathione peroxidase 1 activity and cardiovascular events in patients with coronary artery disease. New England Journal of Medicine, 349(17), 1605-1613. Fragoulis, G. E., & Moutsopoulos, H. M. Inflammation and aging. Αρχεία Ελληνικής Ιατρικής, 1(25), 24-32. Chu, F. F., Esworthy, R. S., & Doroshow, J. H. (2004). Role of Se-dependent glutathione peroxidases in gastrointestinal inflammation and cancer. Free Radical Biology and Medicine, 36(12), 1481-1495. Dröge, W., & Breitkreutz, R. (2000). Glutathione and immune function. Proceedings of the Nutrition Society, 59(04), 595-600. Flemetakis, E., & Labrou, N. (2013). Glutathione : Biochemistry, Mechanisms of Action and Biotechnological. New York: Nova Science Publishers, Inc.
National Sleep Foundation (2017) Aging and Sleep. North, B. J., & Sinclair, D. A. (2012). 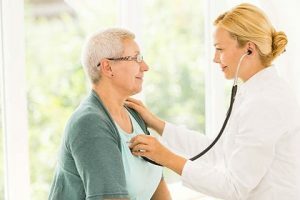 The intersection between aging and cardiovascular disease. Circulation research, 110(8), 1097-1108. Pacifici, R. (2010). The immune system and bone. Archives of biochemistry and biophysics, 503(1), 41-53. Rahman, I., Biswas, S. K., Jimenez, L. A., Torres, M., & Forman, H. J. (2005). Glutathione, stress responses, and redox signaling in lung inflammation. Antioxidants & redox signaling, 7(1-2), 42-59. Sergio, G. (2008). Exploring the complex relations between inflammation and aging (inflamm-aging): anti-inflamm-aging remodelling of inflamm-aging, from robustness to frailty. Inflammation Research, 57(12), 558-563. Schairer, D. O., Chouake, J. S., Kutner, A. J., Makdisi, J., Nosanchuk, J. D., & Friedman, A. J. (2013). Evaluation of the antibiotic properties of glutathione. Journal of drugs in dermatology: JDD, 12(11), 1272-1277. Se Richie Jr, J. P., Mills, B. J., & Lang, C. A. (1987). Correction of a glutathione deficiency in the aging mosquito increases its longevity. Proceedings of the Society for Experimental Biology and Medicine, 184(1), 113-117. Sendur, O. F., Turan, Y., Tastaban, E., & Serter, M. (2009). Antioxidant status in patients with osteoporosis: a controlled study. Joint Bone Spine, 76(5), 514-518. Shekhter, A. B., Rudenko, T. G., Serezhenkov, V. A., & Vanin, A. F. (2006). Dinitrosyl-iron complexes with cysteine or glutathione accelerate skin wound healing in animals. Biofizika, 52(3), 539-547. Taglietti, A., Diaz Fernandez, Y. A., Amato, E., Cucca, L., Dacarro, G., Grisoli, P., … & Patrini, M. (2012). Antibacterial activity of glutathione-coated silver nanoparticles against gram positive and gram negative bacteria. Langmuir, 28(21), 8140-8148. Tyrrell, R. M., & Pidoux, M. (1986). ENDOGENOUS GLUTATHIONE PROTECTS HUMAN SKIN FIBROBLASTS AGAINST THE CYTOTOXIC ACTION OF UVB, UVA AND NEAR‐VISIBLE RADIATIONS. Photochemistry and photobiology, 44(5), 561-564. Uttara, B., Singh, A. V., Zamboni, P., & Mahajan, R. T. (2009). Oxidative stress and neurodegenerative diseases: a review of upstream and downstream antioxidant therapeutic options. Current neuropharmacology, 7(1), 65-74. Zhang, Y., & Duan, K. (2009). Glutathione exhibits antibacterial activity and increases tetracycline efficacy against Pseudomonas aeruginosa. Science in China Series C: Lif e Sciences, 52(6), 501-505.